Trivia: This is based on the Hindi hit movie 'Roti', the Rajesh Khanna starrer. Trivia: This is a remake of Hindi hit film 'Dosti'. Trivia: This is remake of Hindi hit film 'Daag', starred by Rajesh Khanna. 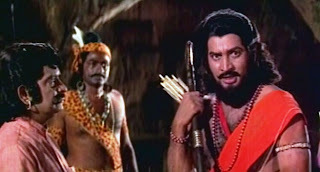 Trivia: Bheem Singh was popular with the Tamil hit films like 'Pashamalar' and 'Padikkadamedai'. Trivia: It had a 100-day run in 14 centers and biggest hit of the year. Mohd. Rafi rendered all songs for NTR. 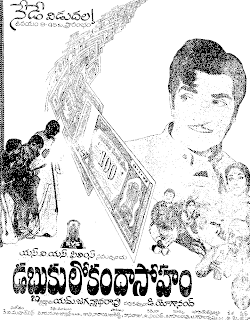 NTR played as Majnu in a 'geetha roopakam', writthen by C. Narayana Reddy, in this movie. Trivia: This is a remake of the Tamil hit film 'Apoorva Ragamgal', by K. Balachander. Srividya was a classical dancer and daughter of ML Vasantha Kumari, the great singer. Trivia: Sridevi, the heroine, done a blind girl role. 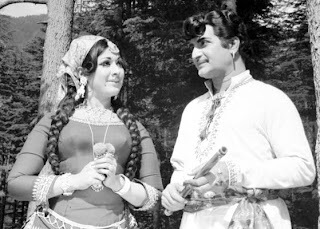 Trivia: Shankar was introduced as a music director with the movie 'Amayakudu'. 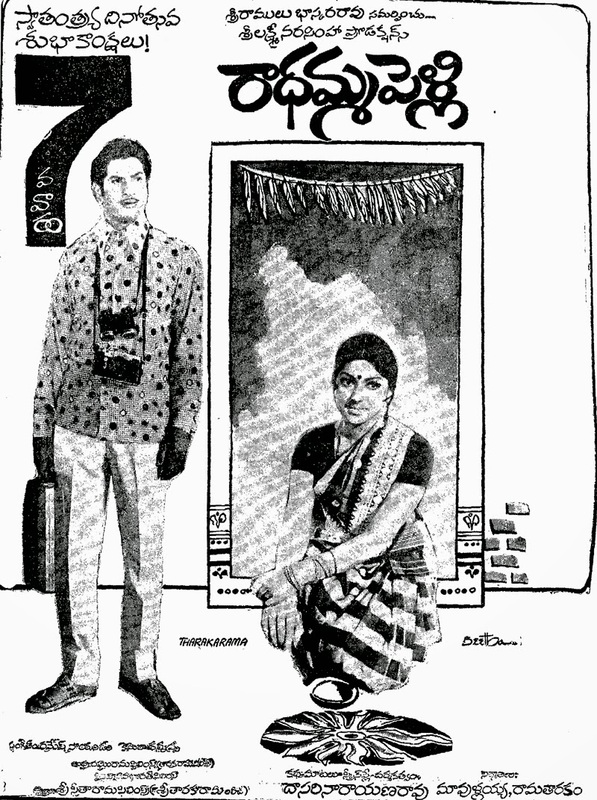 Trivia: Gopinath was a member in the story department of Chinnappa Devar, the leading Tamil producer of his time. He is the father of Suresh, the well known actor. Trivia: Sai Krishna Yachendra is a Ph.D scholar and in the later years, he elected as a MLA from Venkatagiri Constituency. Trivia: This film is a remake of a Tamil hit. 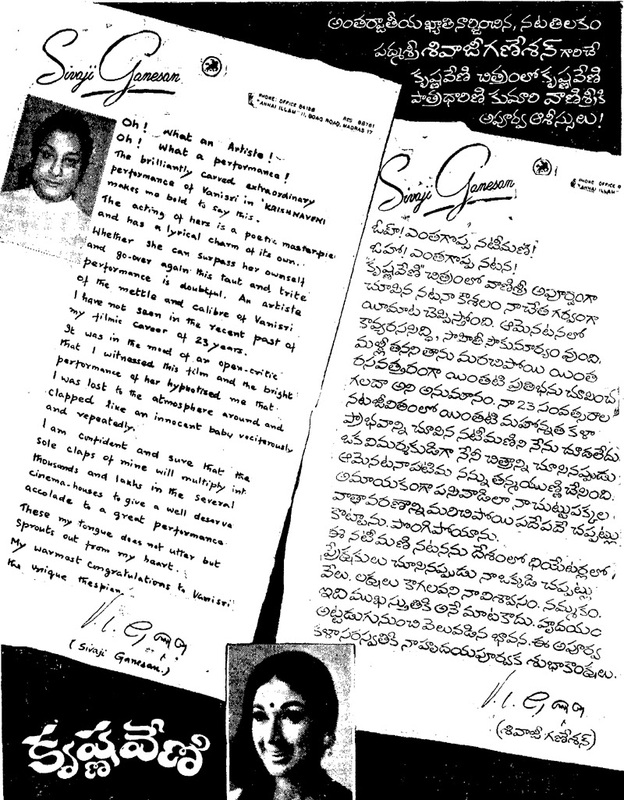 C. Narayana Reddy, the lyricist, played himself in a song, written by him and sung by SP Balasubrahmanyam. Trivia: This is a remake of Hindi hit movie 'Zanjeer', starred by Amitabh Bachchan and Pran. Amitabh Bachchan, the hero of 'Zanjeer' was 30 years old at that time, while NTR was 52 years of old. 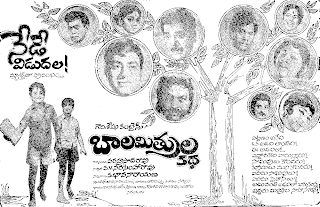 It had a 100-day run in 8 centers and celebrated silver jubilee in Saraswathi Theater, Vijayawada. Trivia: This is debut film of Veeturi, the writer, as a director. 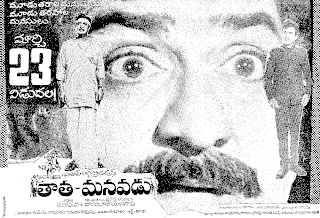 Trivia: This is first film made by Pinjala Subba Rao. This is debut film of SD Lal, the director. Trivia: This film made on lives of fishermen. 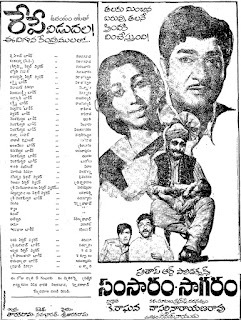 Trivia: MVL (Maddali Venkata Lakshmi Narasimha Rao), the producer, was a student to C. Narayana Reddy in MA at Usmania University. He was seen in opening scenes in the movie. This is Sangeetha's debut movie as a lead actress. Trivia: Earlier, Giribabu was one of the producer of the movie 'Jeevitham', directed by KS Prakasha Rao. 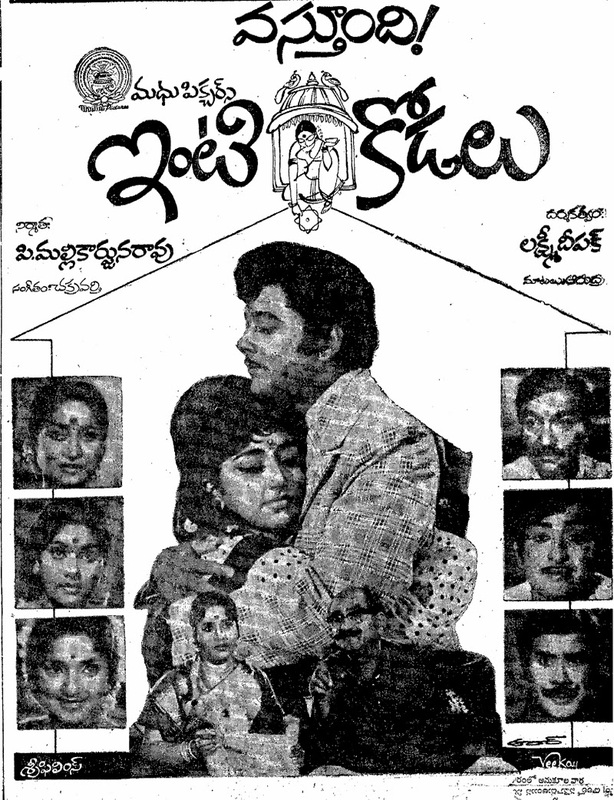 This is the debut movie of Ranganath as a lead actor. Trivia: This was a remake of Hindi hit film 'Gopi'. Trivia: Sri Sri got national award for the lyrics of the song 'Telugu veera levaraa'. 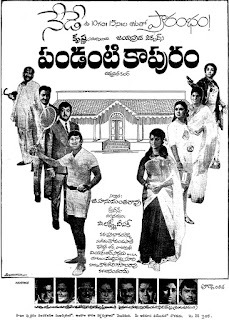 This is first Cinema Scope film in Telugu film industry. 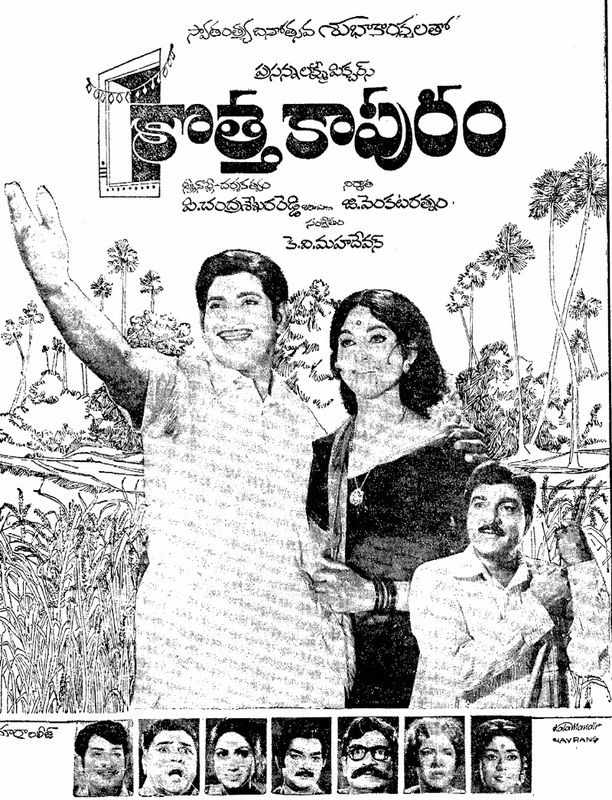 This was Krishna's 100th film. Trivia: Vijaya Bhaskar was belongs to Kannada film industry. Actually he supposed to given music for the movie 'Paala Manasulu' earlier, but it didn't materialized. Trivia: This is K. Raghava's first independent film as a producer. 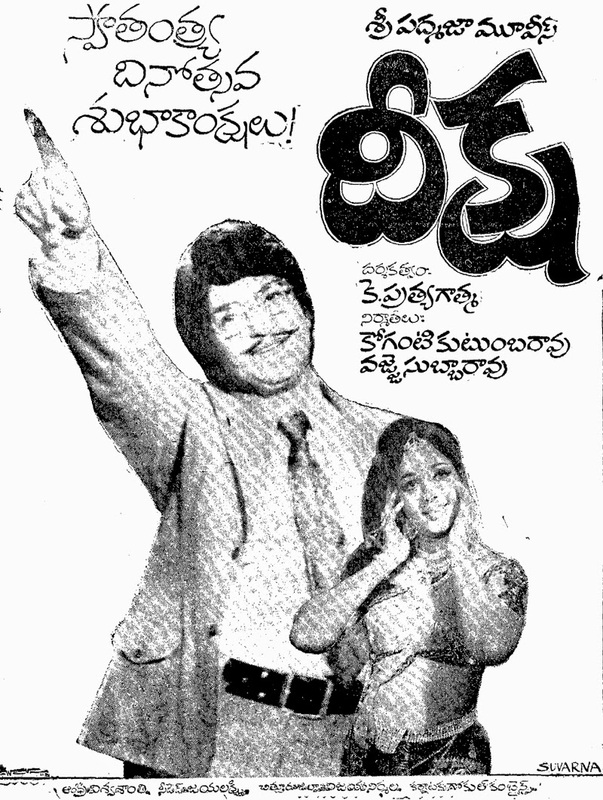 This is Dasari Narayana Rao's first directorial film. It had a 50-day run in 27 centers. Trivia: This was remake of a Tamil film. Music director Kumar was a Tamilian.